Is there running water in medium size towns? If not, how do people obtain and store water? What are the hygiene habits and bathing techniques for the middle class Ashanty people? Is the bathing area usually outdoors? Other than sleeping, what are the activities practiced on the interior of the house? Are refrigerators common in a household? Is it mandatory to nominate a specific town for the project? This is a hard task for participants like me that have not been in the region before. (1) Is there running water in medium size towns? YES. If not, how do people obtain and store water? THE TOWNSHIPS ARE SERVICE BY PUBLIC WATER SUPPLY. ELECTRICITY IS ALSO BY PUBLIC GRID. However, the public water is not reliable, as is electric power. An outages can last for several days. 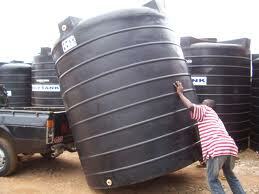 Because of this reason, some people either have their own bore hole or install plastic water storage tanks. 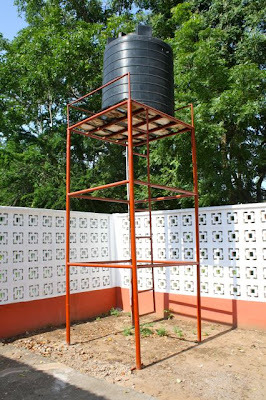 There are several brands such as Poly tank (http://polyworldghana.com) and Sintex. (2) "What are the hygiene habits and bathing techniques for the middle class Ashanti people? Is the bathing area usually outdoors?" In the townships, the bathing room can inside the main house, or it can be an outhouse (a shed) divided into a kitchen and bath room. (4) "Are refrigerators common in a household?" (5) "Is it mandatory to nominate a specific town for the project? This is a hard task for participants like me that have not been in the region before." No, it is not mandatory to nominate a specific town for the project. But you need to do your research about the Ashanti Region to situate your mud house design. Keeping in mind that this is the geographical location of the client you are designing for. Thank you for your responses. This is very helpful! Questions: (1) "What capacity of water tank is most used as a secondary water source and most suitable for all water applications"
Reply" The cost for polytank Rambo 500, which has the capacity of 50000 liters, is about 1500 Ghc ($500) in Ghana. (2) "And what are the normal bathroom fittings, a bathtub or a cubicle/ shower area" Yes, a cubicle/shower area, wash basin for hand washing and flush toilet are common practice among the target population.